The research laboratory Télébec in underground communications of Quebec University in Abitibi-Temiscamingue (LRTCS-UQAT) aims to develop research programs related to wireless telecommunications in underground mines. 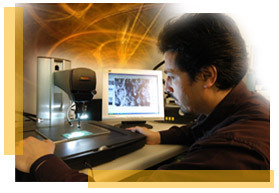 Research is conducted at its own facility as well as the CANMET-MMSL experimental mine in Val-d'Or, Quebec. The LRTCS-UQAT is looking for national and international cooperation, in particular for undergraduate trainees, and postgraduate supervision in the area of telecommunications. Its operations are resting on mining industry participation to various project efforts, in order to offer products in total accordance with their needs.